Melt butter in large heavy saucepan; add garlic and bay leave. Sauté until aroma of garlic fills air (do not burn). Stir flour and cook over medium heat for 1 minute (do not burn). Remove from heat and add remaining ingredients. Return to medium-high heat and bring to a boil, stirring to prevent sticking to bottom of saucepan. Sauce will thicken. 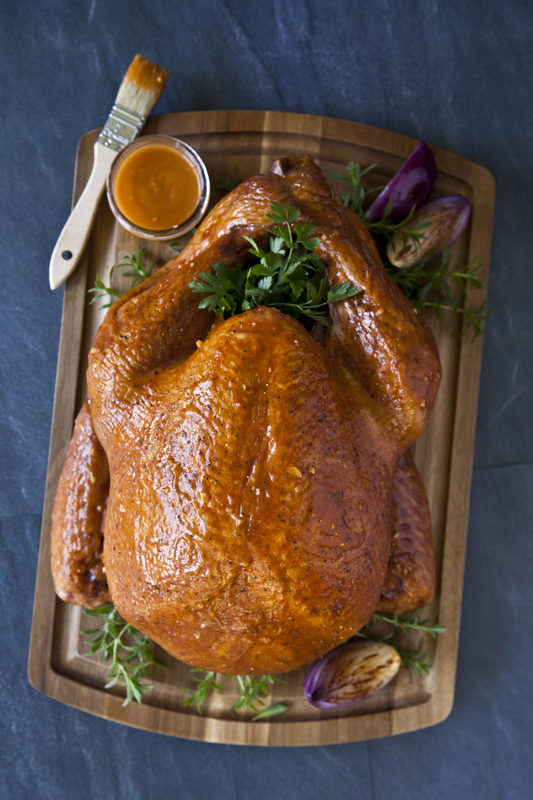 Brush sauce onto turkey about 15 minutes prior to removing from grill or roasting.